Injustice Gods Among Us is a brawler video game set in the DC Universe , or more accurately in a alternative multi-verse. 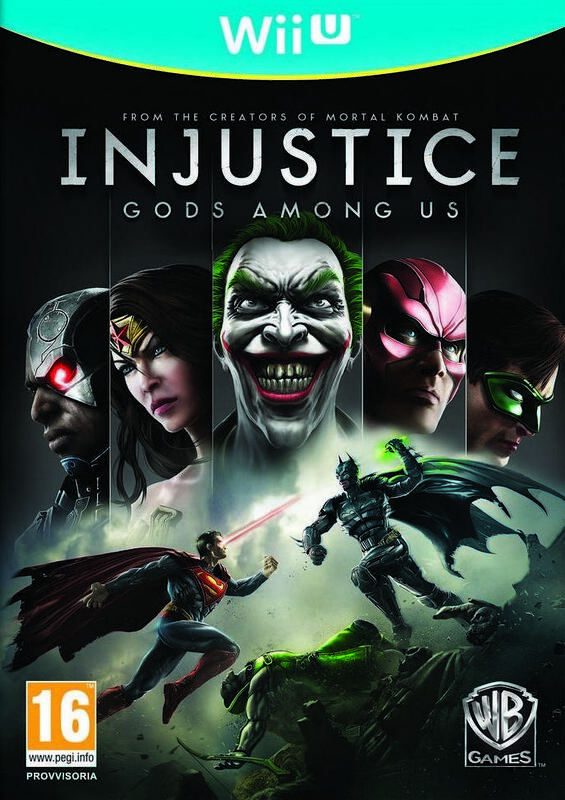 Created by Ed Boon ( Mortal Kombat) at NetherRealm studios ( versions for PC/PS4 and Vita where programmed by High Voltage Software and Armature Studios) , the game brings together a cast of DC super heroes from Batman, Superman the Flash and more together with some of the greatest villains to ,with The Joker heading the group which includes Harley Quinn,Lex Luther and Doomsday. 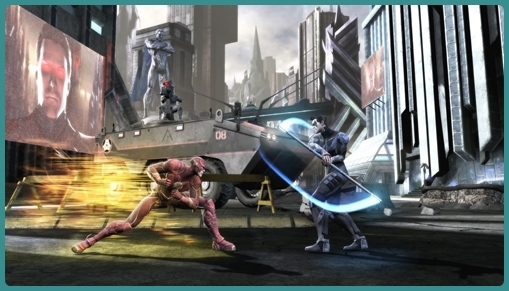 The action takes place in a 2D play field where the character models are 3D , much like the recent Mortal Kombat games. Announced in May 2012 by NetherRealm ,the idea was to create a fighting game that was fresh in the fighting genre , Ed Boon thought this was a perfect chance to explore what could be done without being tied to the Mortal Kombat franchise ..
Of course Boon jumped at the chance to use the DC characters he new he would have to be careful from the violence point of view , he could not get away with over the top violence as in the Mortal Kombat series, DC is loved world wide by adults and kids alike from ages and making a game that was accessible to the wider audience was Warner Brothers idea. Of course Boon would make up for the lack of blood letting and decapitation found in his MK series by creating outlandish special effect moves , in fact so outlandish that Street Fighter's fireballs look like something I do down the park at lunchtime. But what sets Injustice apart from many other fighters is the campaign (or story mode) , set in a alternative reality ,The Joker has killed Lois Lane and her unborn son and all without lifting a finger , he has tricked his nemesis Superman into doing his work for him while destroying Metropolis by a nuclear explosion. This sets of a turn of events where Superman loses his wits and morals when he kills The Joker while Batman is interrogating him. Superman makes himself the leader of a new world order where not complying is not a alternative , Batman ends up at war with Superman and between them attain followers in the form of the DC catalogue. Five years into the War Batman's insurgence group discover a alternate Universe where The Joker's plan did not succeed , the plan is to send a group of heroes to that time frame and scupper The Joker's plans. The story is quite simple in reality , what we have are alternative versions of our heroes and Villains in different time zones , you have the regime behind Superman who is lost and power hungry and the insurgence group led by Batman who are trying to restore peaceful order. Of course you also have Superman who is from before when crazy Superman lost his mind with grief and wait for it , another Batman who is on the side of crazy Superman. The idea here is one of Justice, by having two groups of the same characters the player is always fighting for Justice ,well that's what I took from it. 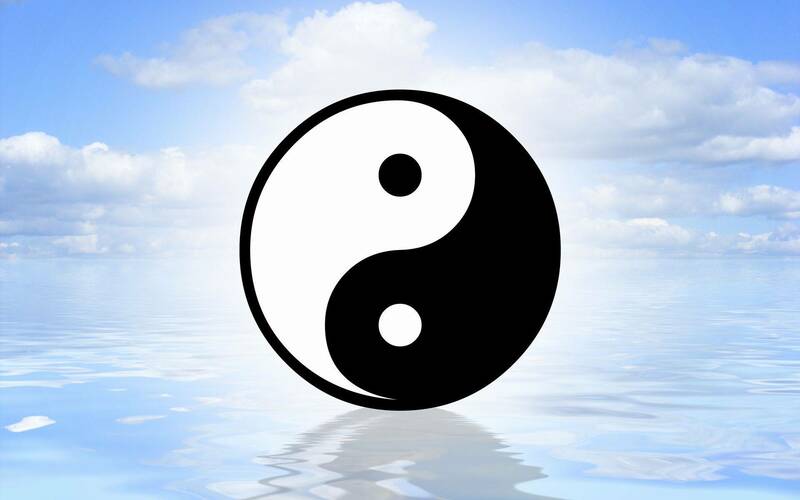 But what's so different ,well in most fighting games you pick a character and fight your way through a roster of fighters with that one character . What Injustice Gods does is to offer the player a well crafted story which plays out like a film , broken into chapters the player will in turn get to play as all the characters in the participation of the story . Each chapter has you taking part in three matches against various foes , as you progress your get to understand the moves for all the characters form classic Batman ,The Green Arrow ,Wonder Woman and more. With the completion of each chapter your introduced to the next character your be using with a cut scene which infuses the game play engine seamlessly .. This makes the single player story mode immensely enjoyable compared to most one on one fighting games, the story and variation of characters at your disposal makes it stand out from the crowd in this department. Though as far as a two player game it's just as much fun as say Mortal Kombat or Tekken I don't think it has the complexity of a game like Virtua Fighter or Street Fighter. But as a bear and pizza game it's a good laugh. Of course there is a fair amount of DLC for the game with costume packs and extra fighters like General Zod , Bat Girl, Scorpion and Lobo. Though released in April 2013 it was not long before the game was released in a Ultimate edition which featured all the DLC from the game included. The Ultimate edition also had a release on Sony's PS4 console ,which the previous edition missed ,but Nintendo's Wii U console was left out of the Ultimate edition release. But whether you have the first edition or the later Ultimate edition the game is a lot of fun and even though the single player mode is fun ,it can be done in a short time , of course unlocking all the in game content, Badges ,profiles and more will take a while to complete. And if you where one of the early adopters and have the initial edition you can always ad that extra character or skin pack from the DLC available. 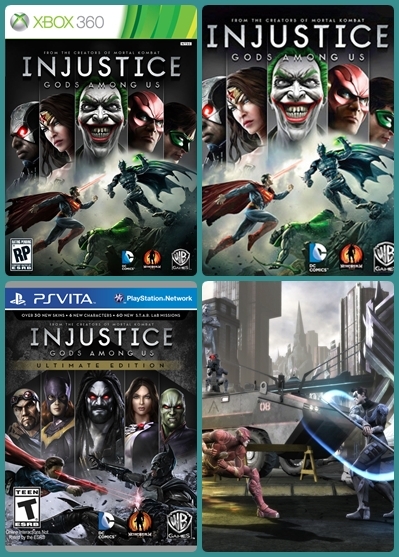 If your a Wii U owner then Injustice Gods is a must have if your into fighting games, Batman or the DC universe . Unlike the other consoles which have a larger collection of fighters available including Virtua Fighter ,Soul Calibur,Dead or Alive and the forthcoming Mortal Kombat X ,another game that's passing by the Wii U. Of course Wii U owners have the new Smash Brothers game releasing before Christmas , but if you need a fight fix for your Wii U now then Injustice Gods is a good bet as apart from 2012's Tekken Tag 2 and some Virtual console releases the Wii U is lacking in the fight department.